The Micro Kit provides the perfect solution for watering pots, containers and hanging baskets, saving you time effort and water. All the necessary components are included to efficiently water up to 15 containers in one simple kit. Easy to Install: The select number of components included within the kit, ensure that the system is quick and simple to set-up. 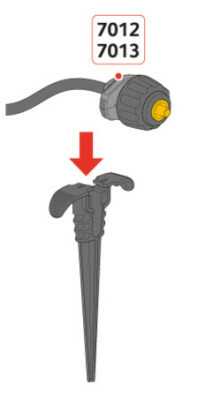 The Micro Drippers have a simple ‘Push Fit’ design to ensure easy installation, whilst its compatibility with 4mm hose enables discreet water delivery when installed in pots, containers and hanging baskets. 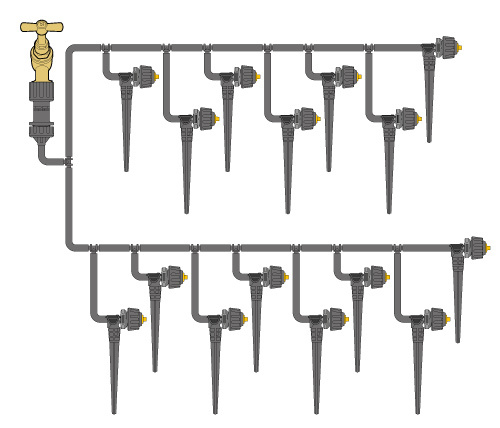 A flexible 4mm hose carries water from your tap to individual Micro Drippers positioned in pots around your garden or patio area. 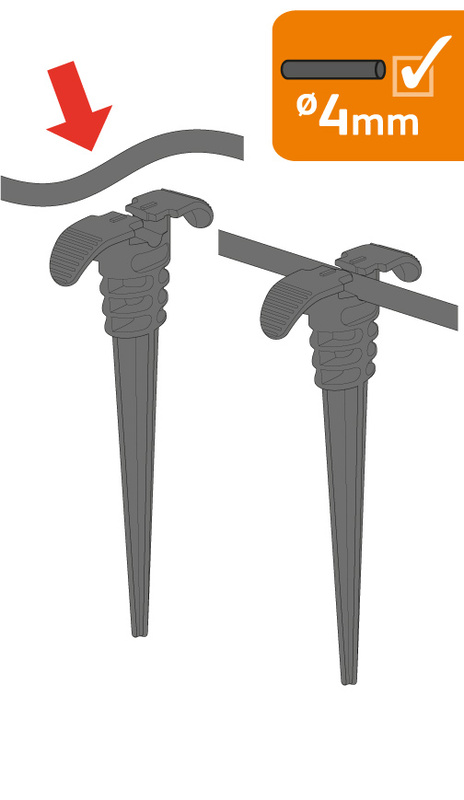 The 4mm Hose can be easily cut to supply up to 15 containers with the use of T connectors. Automatic Watering: The kit allows you to add any controller you wish, allowing you to automatically water your garden at a time that is convenient to you. Adding a controller means no more getting up at sunrise or sunset to water your plants and the peace of mind that your plants will remain healthy whilst you are away or on holiday. Modular: The kits are modular in design, which means that if you have more than 15 containers or a large area to water, you can easily combine a number of Micro Kits together or add a Universal Kit to create a larger system. 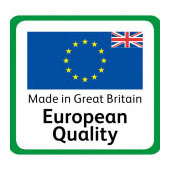 Guarantee: For peace of mind the Micro Kit comes complete with a 2 year guarantee. 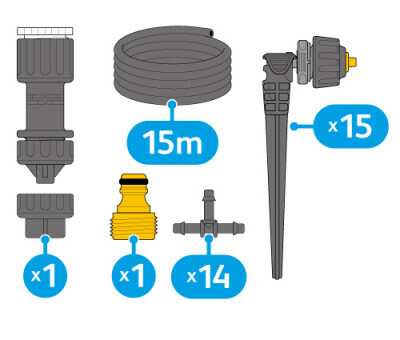 Contents: 1x Pressure Reducer, 15m x 4mm Micro Hose, 15x Micro Drippers & 14x 4mm T Pieces.